No one like a Debbie Downer leader. By being negative, you’re bringing down everyone else. You don’t want this. It’s not only bad for morale, it’s bad for you. You lose your authority. You lose respect. And you lose the right to hold people accountable when THEY complain (how dare they, right?!?). Find ways to take in positive content. Whether that’s through great books, close relationships, or inspiring music. The more you’re seeking out positive inputs, the more positivity you’re going to exude. There are days when I feel down in the dumps. I don’t want to be positive. When I look back on those days, I see a common factor. I’ve been cooped up in the office too long and haven’t seen a lick of sunshine or breathed a breath of fresh air. As I’ve begun to realize this, I’ve pushed myself outdoors more. Whether it’s a lunchtime walk (or game of disc golf) or driving down to Lake Michigan, getting outdoors is a wave of positivity to me. Being outdoors will do the same for you. Most of your negative thoughts will be negative self-talk you need to overcome. You’ll hear your inner voice tell you that you’re not good enough to lead or that you’re going to fail. Constantly playing these negative thoughts will make you more negative. What can be done about it? Battle back against the negative self-talk. When you hear that nasty little voice creep in, reply with the good work that has been accomplished. Tell yourself you’ve down great work, like the time you helped Tim understand how his position makes the world a better place. When you combat negative thoughts, you allow the positive thoughts to flow in and become more positive! Yeah, you might not have everything you desire, but you do have more than you deserve. Look at what you have. That beautiful wife. The loving children. A career you love. You have a lot of things to be thankful for. Be grateful. We can’t deny ourselves the simple pleasure of life. We have to be able to get out and do the things that we love. That can be going and seeing the latest blockbuster movie. Or maybe it’s going to the punk rock show at the local music venue. Find things that you love. Then go out and do them. You also have the ability to carry positivity around with you. If you’re anything like me, you love positive quotes, affirmations, and scriptures. You can write these short pieces of positivity down and stick them in your pocket. Carry these positive thoughts with you. Then look at them when the negativity begins to creep in. Becoming more positive can be a full-time job. That’s why you’ve got to be aware of what you’re doing. When you notice negativity seeping into your life, take the steps to move in a positive direction. 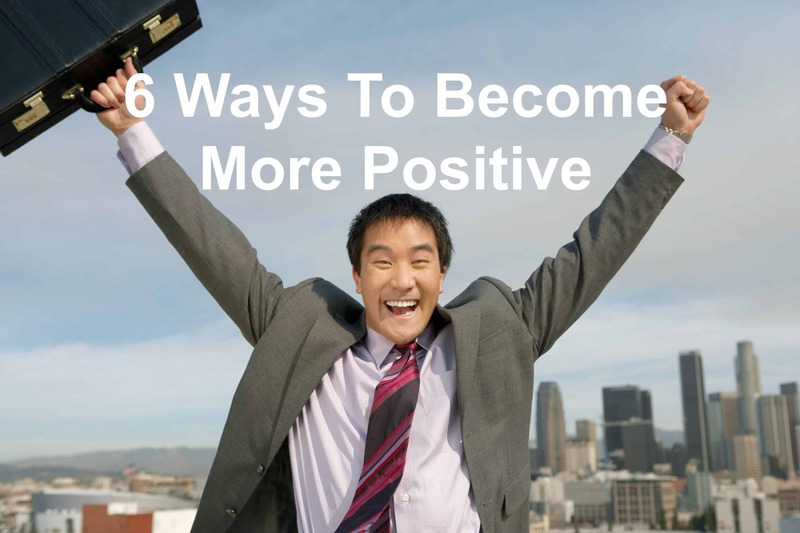 Question: What do you do to become more positive? Share your thoughts in the comment section below.